And by posting this, I am helping Angela and Hugh raise up to £250 for charity. I have a similar gold star. Depending on the colour theme for the year (yes, I do a colour theme each year! ), either a gold or silver is placed on top of the tree. 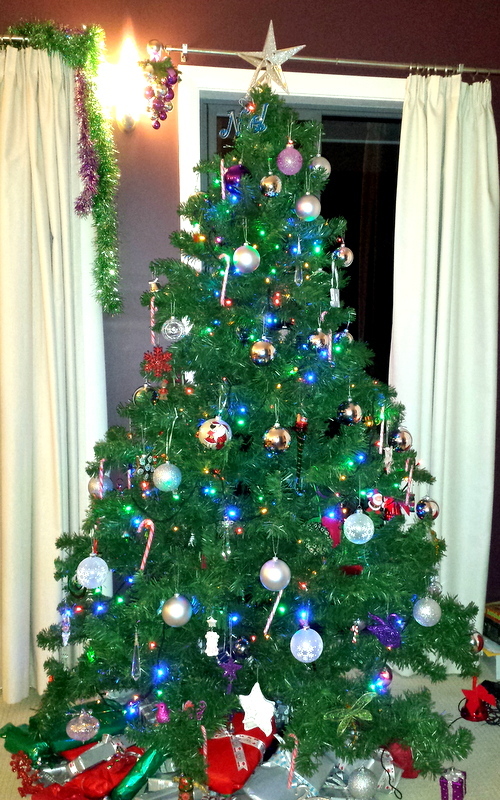 My daughter decided the colour theme for this year: silver baubles and all colours for the other decorations. A good time to let our traditional decorations out of the box! 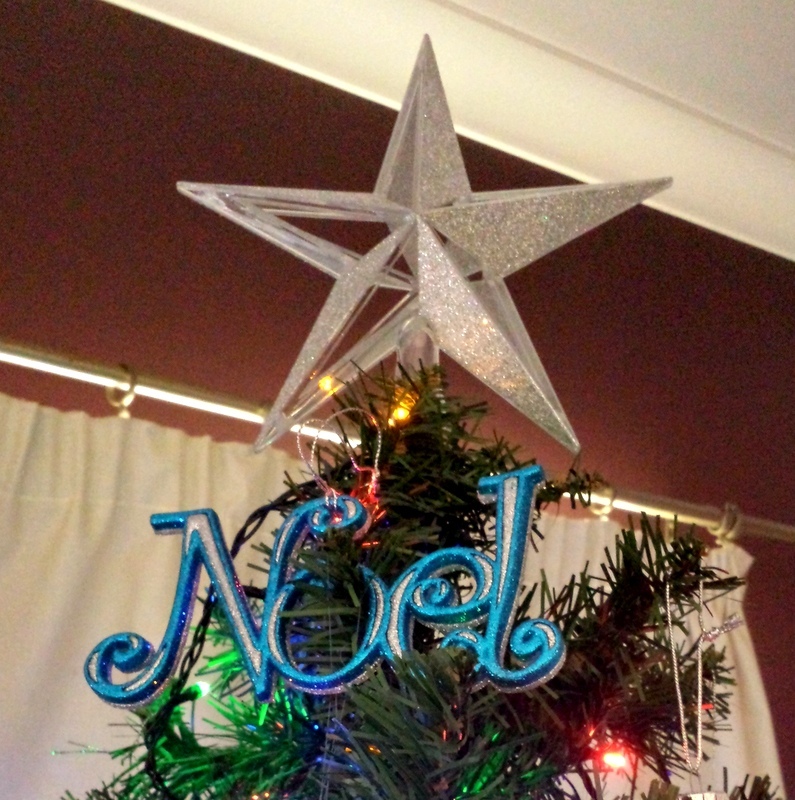 Now, why not show what is on top of your Christmas tree? Post on your blog and help Angela and Hugh at Hugh’s Views & News to contribute to charity. To find out what to do, go to Angela and Hugh’s post. Colleen, a very merry Christmas to you and yours! May 2015 bring new highlights to you! Hi Florence, what a wonderful Christmas tree and we love the star on top. Thank you so much for participating in my chairty Christmas tree topper challenge. We love the fact that the star shines the light into the impending new year. What a lovely thought. Merry Christmas and a Happy New Year to you and your family and thank you once again for helping me get closer to my £250 target for charity. Wishing you and yours lots of love, peace and joy at Christmas and the best 2015 has to offer.